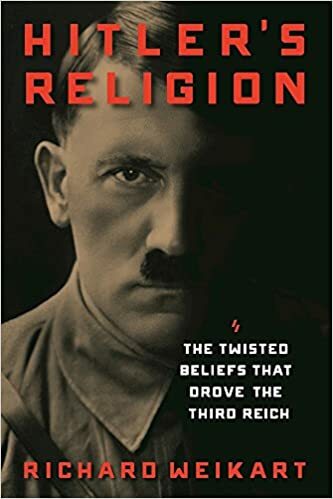 The following article is an excerpt from Richard Weikart’s book Hitler’s Religion: The Twisted Beliefs that Drove the Third Reich. It is available to order now at Amazon and Barnes & Noble. In mid-January of 1940, Hitler was discussing with his colleagues a rather frequent topic of his conversations and monologues: the church. After he sarcastically imitated Niemöller, the Confessing Church leader who was incarcerated in a concentration camp, someone in his entourage indicated to him that posterity might not be able to figure out what Hitler’s religion was, because he never openly stated his beliefs. The person who brought this to Hitler’s attention had clearly noticed the discrepancy between his private expressions of intense antipathy to Christianity and his public religious image. Since many in Hitler’s entourage were also intensely anti-Christian, perhaps they were trying to provoke him to state his personal religious views publicly. In any case, this observation about the inscrutability of Hitler’s religious views still has merit today— even though we have far more information about Hitler available to us than most of his contemporaries had.That, of course, does not mean everyone draws the same conclusion. As we have seen, some people today interpret Hitler as an atheist, while others insist he was a Christian. In fact, he has been described as an adherent of just about every major religious position in twentieth-century European society (excepting Judaism, of course), which included agnosticism, pantheism, panentheism, occultism, deism, and non-Christian theism. Interestingly, when he was confronted in January 1940 with the observation that people might not know Hitler’s religion, he suggested that, on the contrary, it should not be difficult for people to figure it out. After all, he asserted, he had never allowed any clergy to participate in his party meetings or even in funerals for party comrades. He continued, “The Christian-Jewish pestilence is surely approaching its end now. It is simply dreadful, that a religion has even been possible, that literally eats its God in Holy Communion.” Hitler clearly thought that anyone should be able to figure out that he was not a Christian. Nonetheless, Rosenberg reported in his diary later that year that Hitler had determined that he should divulge his negative views about Christianity in his last testament “so that no doubt about his position can surface. 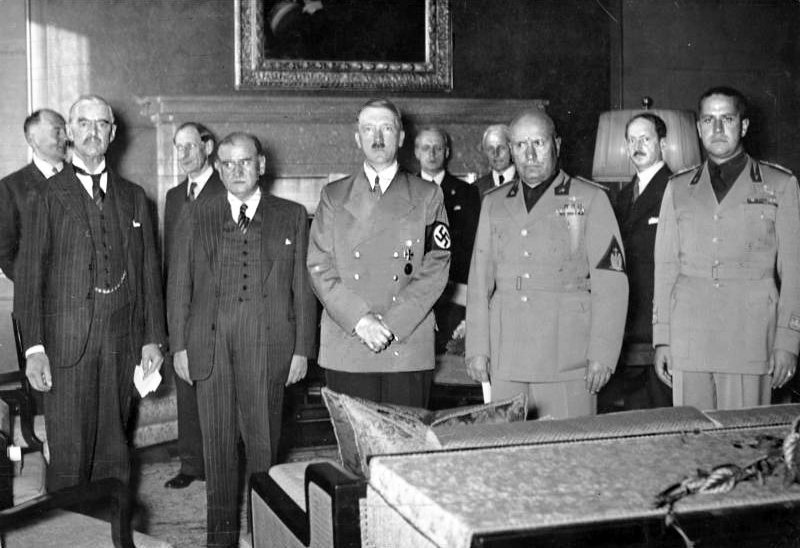 As head of state he naturally held back—but nevertheless after the war clear consequences will follow.” Many times, Hitler told his colleagues that he would reckon with Christianity after the successful conclusion of the war. Interestingly, even in these conversations, Hitler only indicated what he did not believe. He did not explain at that time what he did believe about God, the after-life, or other religious issues. Indeed, it is much easier to figure out what Hitler did not believe than to figure out Hitler’s religion and feelings. Probably, this is partly because Hitler considered God ineffable. Hitler’s God was not one who revealed himself clearly to humanity, but a mysterious being who superseded human knowledge. So, what did Hitler not believe? He continually rejected Christianity, calling it a Jewish plot to undermine the heroic ideals of the (Aryan-dominated) Roman Empire. He did not accept the deity of Jesus, the resurrection of Jesus, or indeed any of the miracles of Jesus. There is no evidence that he believed in a triune God. Though he esteemed Jesus as an Aryan fighter against Jewish materialism who was martyred for his anti-Jewish stance, he did not ascribe to Jesus’s death any significance in human salvation. Indeed, he did not believe in salvation at all in the Christian sense of the term, because he denied a personal afterlife. Despite his public invocations to God, Hitler also did not believe in the efficacy of prayer. His God responded to people and judged them according to their works, not their words. Although he spurned Christianity, this did not lead him to disbelieve in every form of deity, however. He overtly rejected atheism, associating it with “Jewish-Bolshevism.” Further, he explicitly condemned mysticism, occultism, and neo-paganism. Thus, it is evident Hitler was neither a Christian, atheist, occultist, nor neo-paganist. While this narrows the range of options of Hitler’s religion slightly, it still leaves us with agnosticism, pantheism, panentheism, deism, and non-Christian theism. A reasonable case could be made for more than one of these options. In order solve this puzzle, however, one must not only examine the full panoply of his religious statements but also decipher how to weigh those statements on Hitler’s religion. Are his private statements more revealing of his true convictions than his public speeches? Probably, but even his private statements must be used cautiously. Are his books a better indication of his personal beliefs than his speeches? This is likely, because he seemed to be more systematic in explaining his worldview in Mein Kampf and in his Second Book. However, they also served propaganda purposes and must be used carefully as well. There also remains the question of whether Hitler even had a coherent metaphysic; if not, perhaps there is no single answer to what Hitler’s religion was. 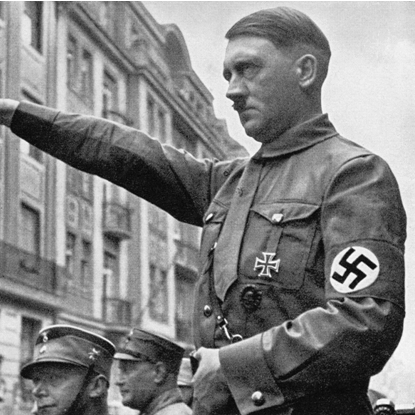 One problem is that Hitler often portrayed God as an impersonal force, yet sometimes he implied God did take a personal interest in humanity, or at least in the German people’s destiny. Though he usually insisted that God does not intervene in the natural cause-andeffect relationships in the universe, at times he seemed to ascribe a role to Providence in history. When he survived assassination attempts, for instance, he took it as a sign from Providence that he was specially chosen to fulfill a divine mission. Until the very end of World War II, he thought his God would not fail to bring victory to the German people. One of the reasons it is unlikely that Hitler was a theist is because he did not seem to think God could contravene the laws of nature. Hitler often called the laws of nature eternal and inviolable, thus embracing determinism. He interpreted history as a course of events determined by the racial composition of people, not by their religion or other cultural factors. The way to understand humanity and history, according to Hitler, was to study the laws of nature. He considered science, not religious revelation, the most reliable path to knowledge. What Hitler thought science revealed was that races are unequal and locked in an ineluctable struggle for existence, which would determine the future destiny of humanity. Whether Hitler construed the laws of nature as the creation of a deistic or theistic God, or the emanation of a pantheistic God, he clearly grounded his morality on the laws of nature, which he consistently portrayed as the will of God. 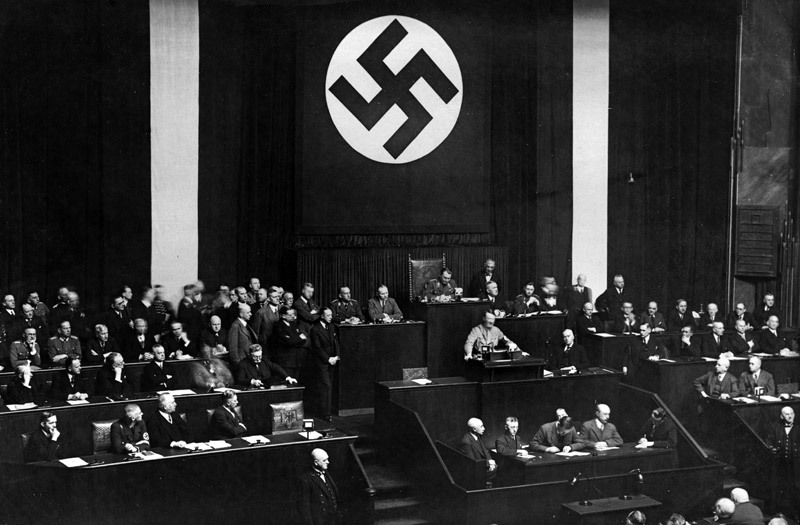 Since nature brought about biological improvement through struggle, Hitler defined moral goodness as whatever contributed to biological progress. Evil or sin, in Hitler’s opinion, was anything that produced biological degeneration. 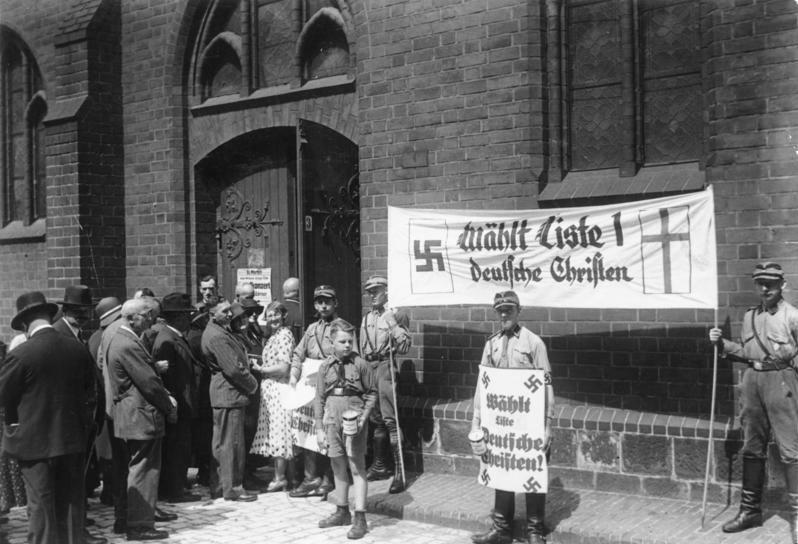 Thus, Hitler thought he was operating in complete harmony with God’s will by sterilizing people with disabilities and forbidding the intermarriage of Germans and Jews. Killing the weak to make way for the strong was part of the divine plan revealed in nature, in Hitler’s view. Thus, even murdering disabled Germans, launching expansionist wars to wrest territory from allegedly inferior races, and murdering millions of Jews, Sinti, Roma, Slavs, and others defined as subhumans, was not only morally permissible but also obedience to the voice of God and aspects of Hitler’s religion. After all, that was how nature operated, producing superabundantly and then destroying most of the progeny in the Darwinian struggle for existence. Hitler often reminded his fellow Germans that even if this seemed ruthless, it was actually wise. In any case, he warned that they could not moralize about it, because humans were completely subject to the laws of nature. In the end, while recognizing that Hitler’s religion was somewhat muddled, it seems evident his religion was closest to pantheism. He often deified nature, calling it eternal and all-powerful at various times throughout his career. He frequently used the word “nature” interchangeably with God, Providence, or the Almighty. While on some occasions he claimed God had created people or organisms, at other times (or sometimes in the same breath) he claimed nature had created them. Further, he wanted to cultivate a certain veneration of nature through a reinvented Christmas festival that turned the focus away from Christianity. He also hoped to build an observatory-planetarium complex in Linz that would serve as a religious pilgrimage site to dazzle Germans with the wonders of the cosmos. 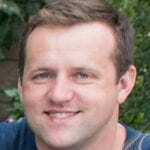 Overall, it appears a pantheist worldview was where Hitler felt closest to home. Since it is so difficult to pinpoint exactly what Hitler’s religion was, it might seem his religion was historically inconsequential. However, hopefully this study of Hitler’s religion sheds light on a number of important issues. First, his anti-Christianity obviously shaped the persecution of the Christian churches during the Third Reich. Second, his religious hypocrisy helped explain his ability to appeal to a broad constituency. Third, his trust that his God would reward his efforts and willpower, together with his sense of divine mission, imbued him with hope, even in hopeless circumstances. This helps us understand why he was so optimistic until the very end, when it should have been obvious much earlier that the game was up. Finally, and most importantly, his religion did not provide him any transcendent morality. Whatever Hitler’s stance on other religious issues, his morality was entirely of this world, derived from his understanding of the workings of nature. This was the most pernicious element of his religion. Hitler followed what he considered the dictates of nature by stealing, killing, and destroying. Ultimately, however, he perished, because his God could not give him life.